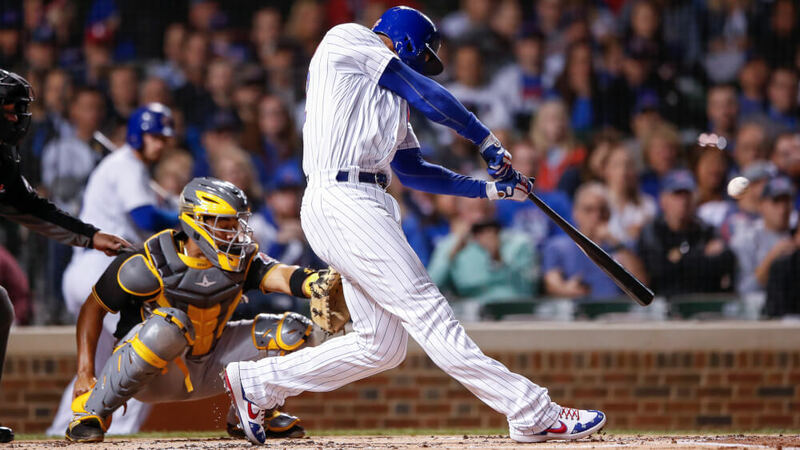 Nike ushered in the postseason by dropping the newest iteration of the Alpha Huarache Elites yesterday, 10/1, with fresh PEs showing up on the feet of Nike’s top ballplayers. The Alpha Huarache Elite 2 dropped in mids, lows, and turfs, and we’re excited to inform you that these will also show up on NIKEiD. 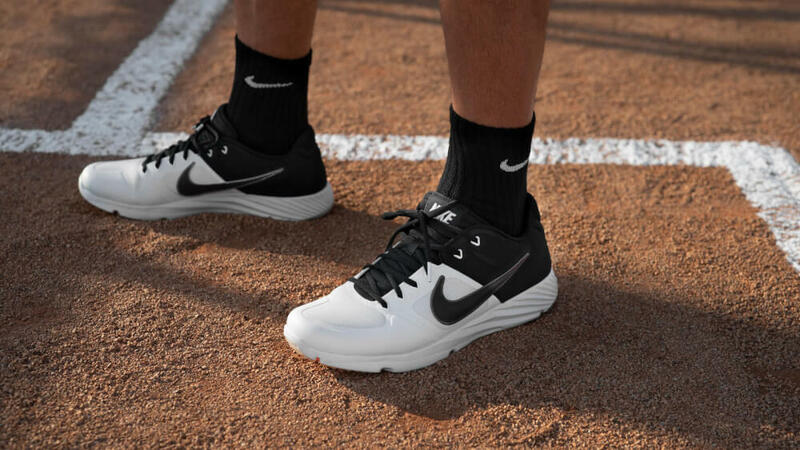 First impression, Nike nailed it with the Alpha Huarache Elite 2. 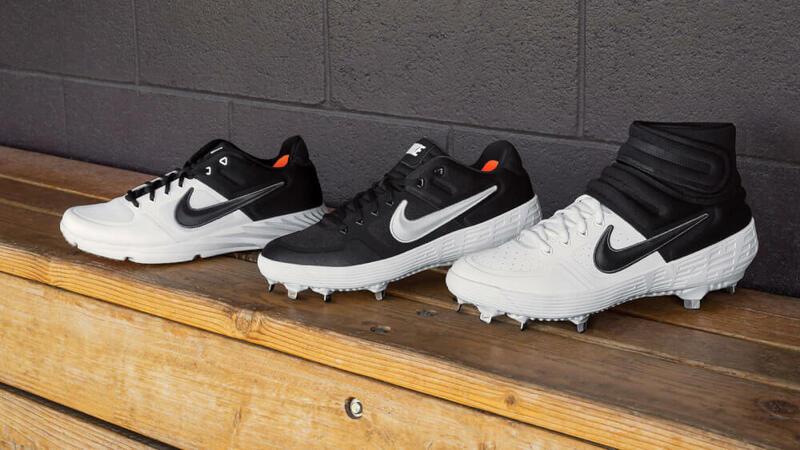 Rather than a different design for each cut, Nike kept a similar look for the mids and lows. Looking closely, they might remind you of Kobe A.D.’s. With the game’s most athletic players opting for a sneaker-like feel, we expect that the Alpha Huarache Elite 2 cleat will not only look like Kobe’s, but play like them, too. 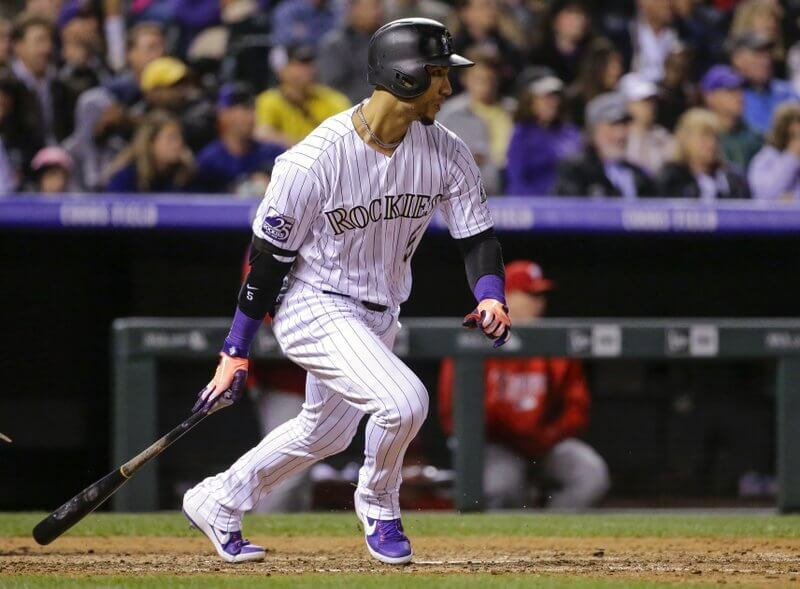 Expect stars like Arenado, Javy Baez, Cargo and Giancarlo Stanton to be rocking them in the playoffs. 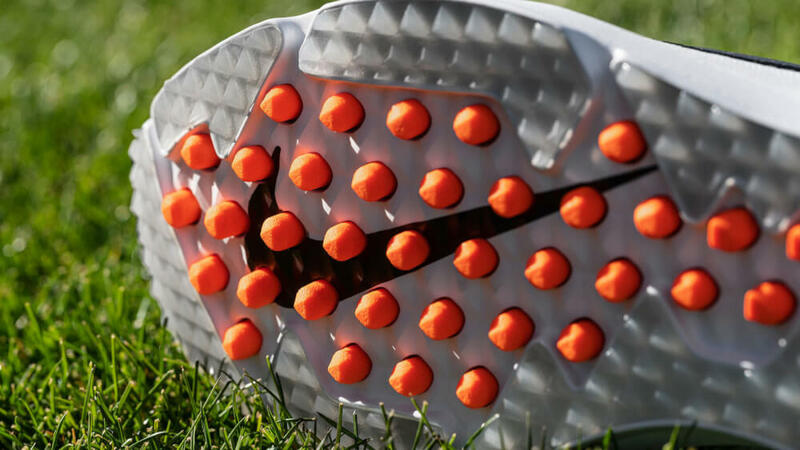 A Nike Air unit in the heel and Zoom Air unit in the forefoot that provides comfort underfoot. 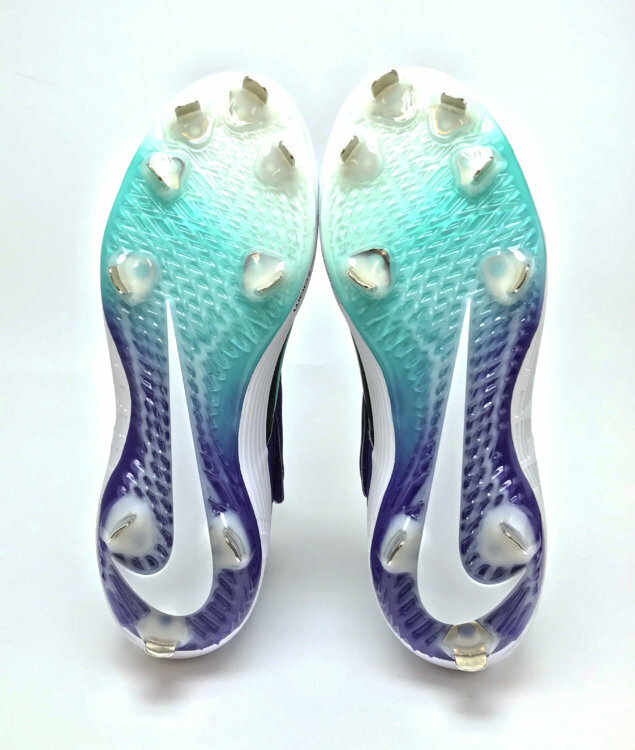 A TPU toe cap and rubberized screenprint to resist abrasion in the cleat’s high-wear areas. 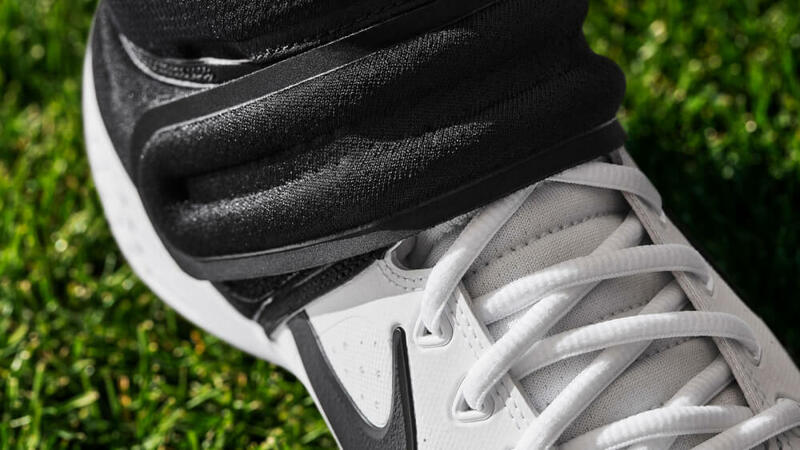 Exclusive to the mid-cut cleat is a textile double-strap at the midfoot and the ankle, featuring a hook-and-loop closure; the back of the strap has an open-hook detail that allows for easy entry; meanwhile, the lows feature a no-sew upper. 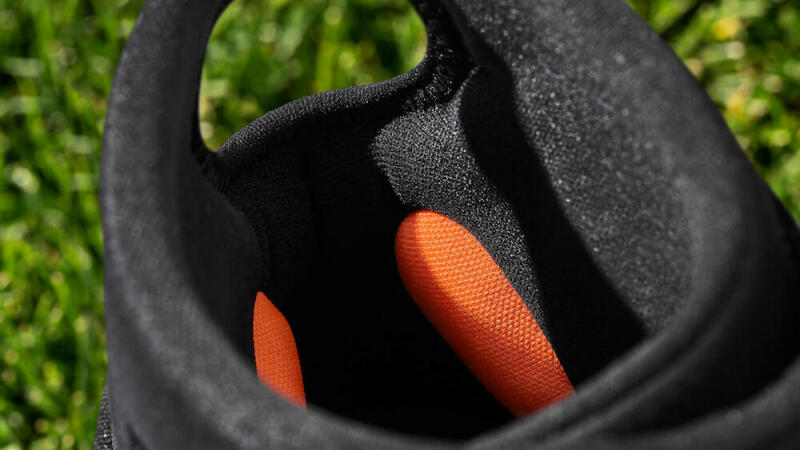 Carried over from the previous model is the same sculpted ankle padding (inside the cleat), this time coming in orange. I was a huge fan of the fit on the previous model, so it’s nice to see that carried over. 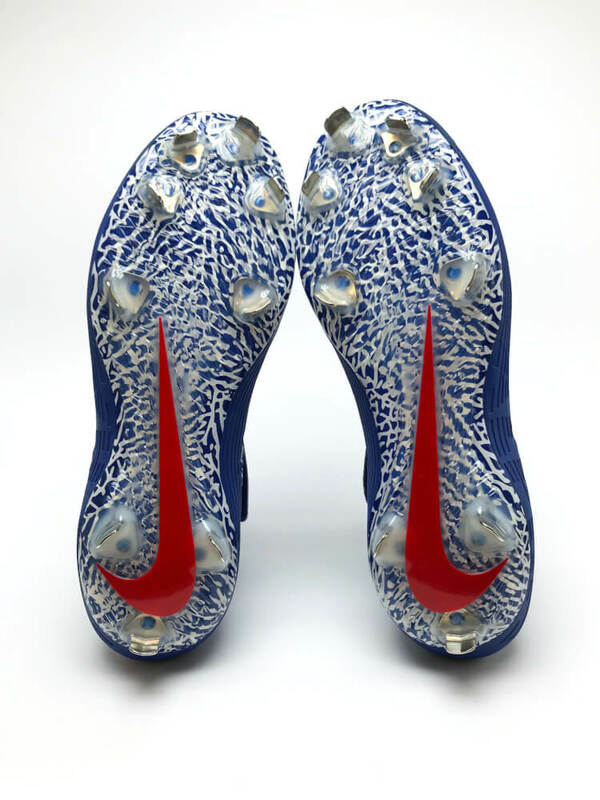 Also of note, just like the new Ultraflys, it looks like Nike scrapped Flywire on these. 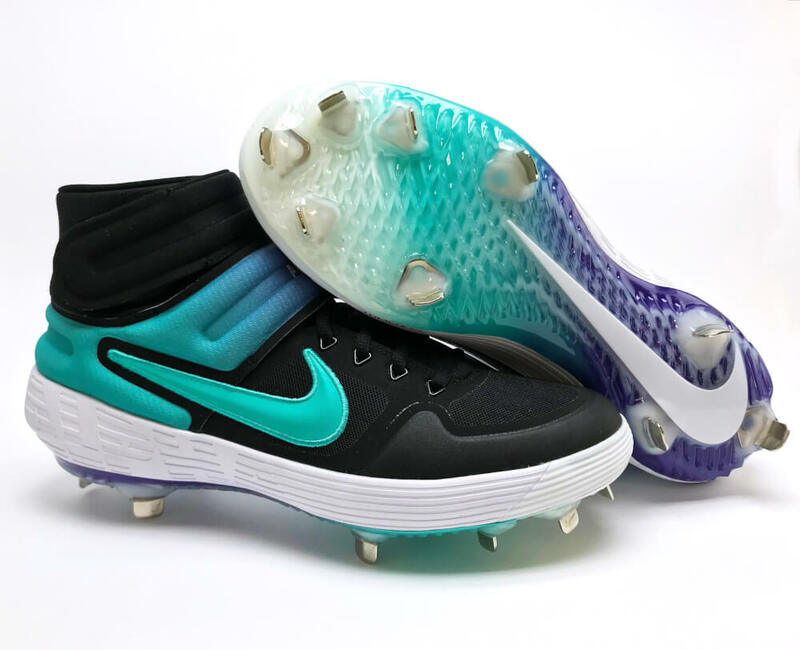 Looking at Joc Pederson’s player exclusive model, Nike is going with a similar plate to the original Vapor Ultraflys, minus the hybrid set-up. 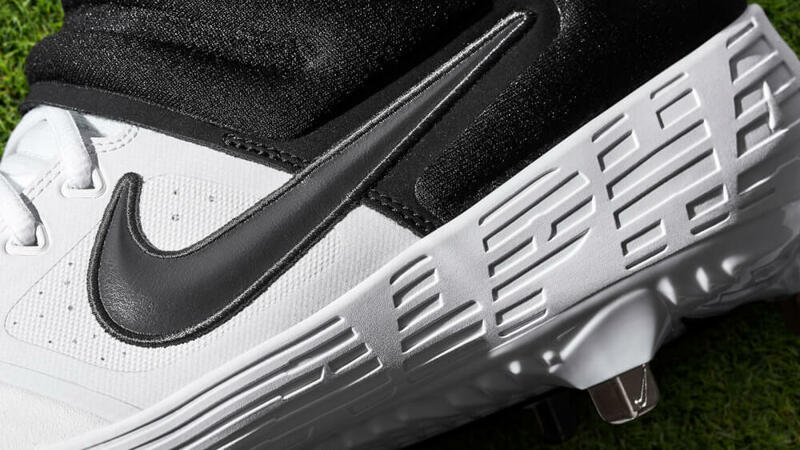 For your pregame and off-field needs, the turfs are clean, too. 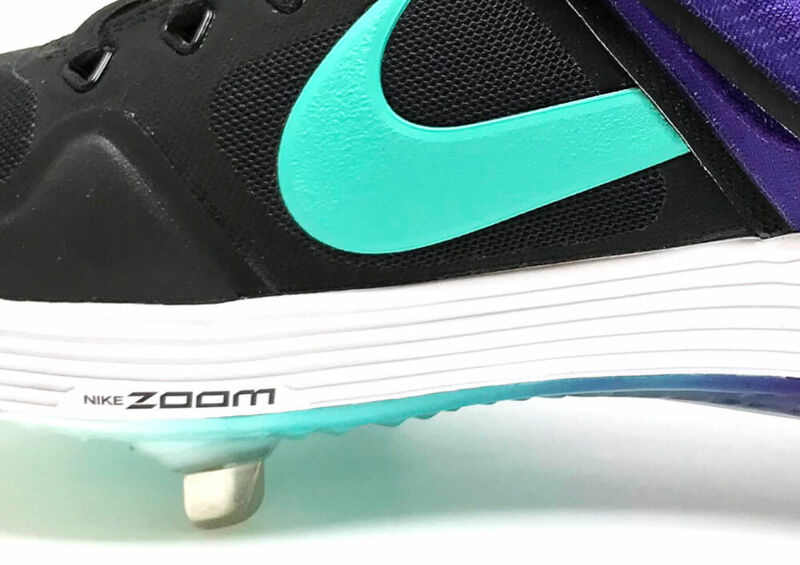 Nike added a Lunar midsole similar to what we’ve seen on PE makeups of previous models and the Vapor Speed turf. 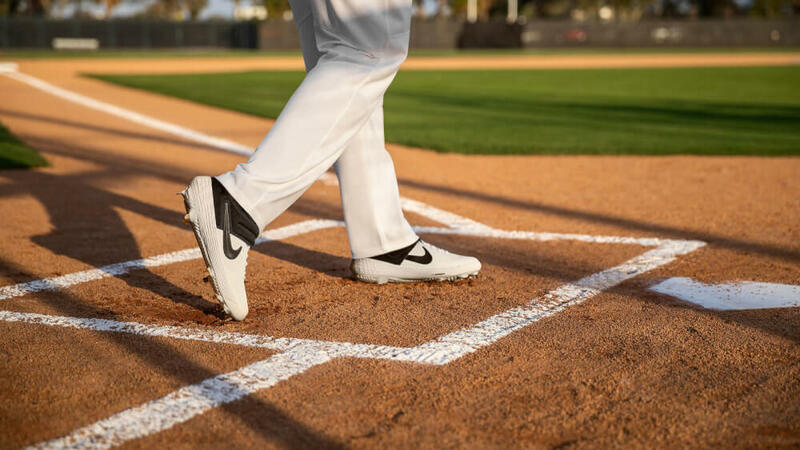 This is a feature that many of you wanted when we’ve posted about them in the past, so its great to see that Nike’s product people are actively listening to ballplayers and incorporating their feedback. Traction is provided by rubberized pegs. I’d like to try slipping in these. Doesn’t look possible. Nike, just take my money already. Here’s what we’ve seen so far on the field. 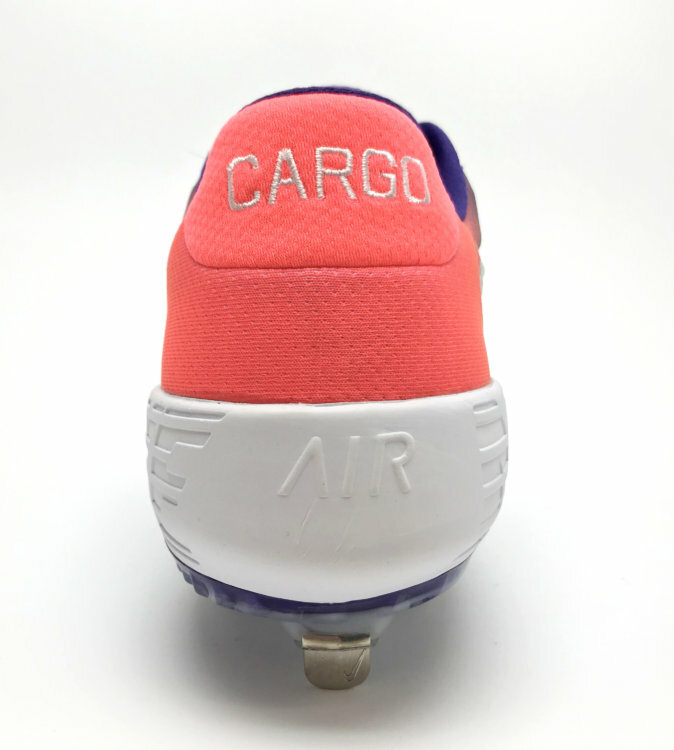 Cargo is “god-tier” at Nike. Hot pink has been his color du jour for the past couple seasons, and that is carried into his Alpha Huarache Elite 2. Those bad boys just radiate heat. 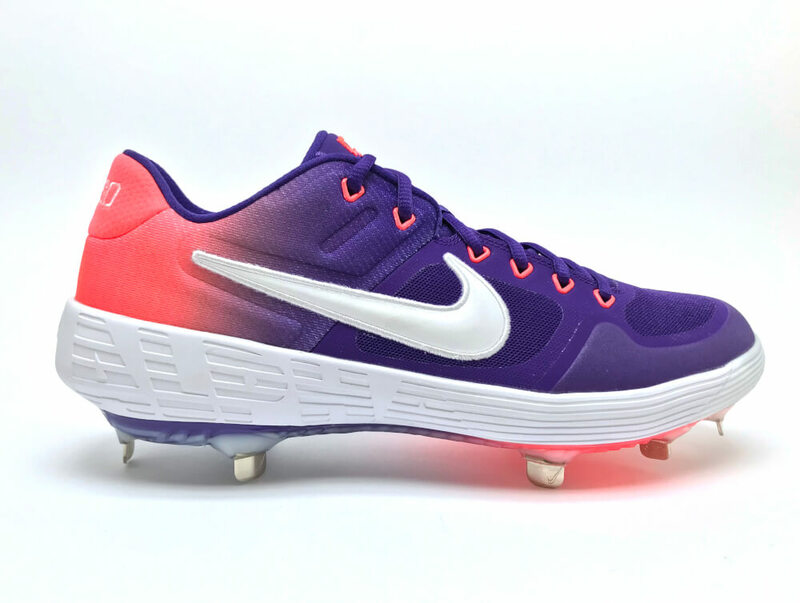 Another WPW-fave, Nolan Arenado has his own pair, set in black with a mint-to-purple color shift on the strap. These don’t quite get me going the way his previous models have, but I’d take them over the Alpha Huarache Elite (originals) that ‘Nado wore for most of the season. Here’s the medial side; you can see the Zoom branding and get a better feel for the color shift on the strap. 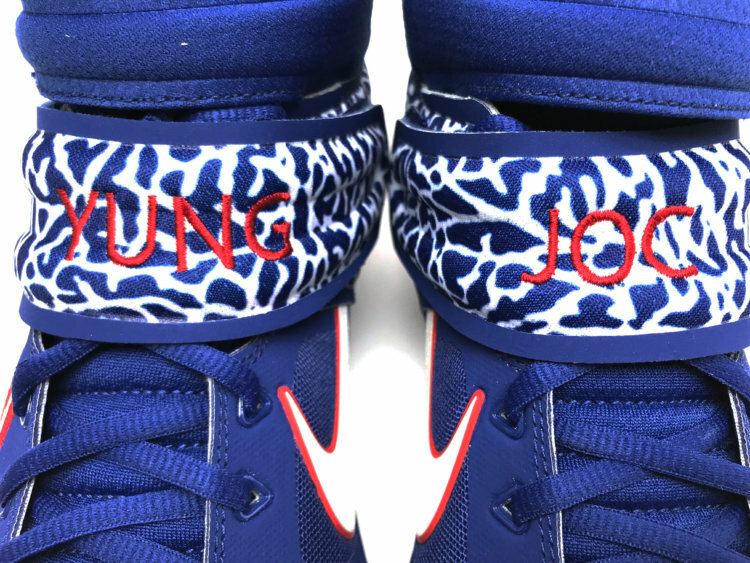 Joc Pederson, like the rest of the world, is a fan of classic Jordans, riding the elephant print wave onto the Alpha Huarache Elite 2s. 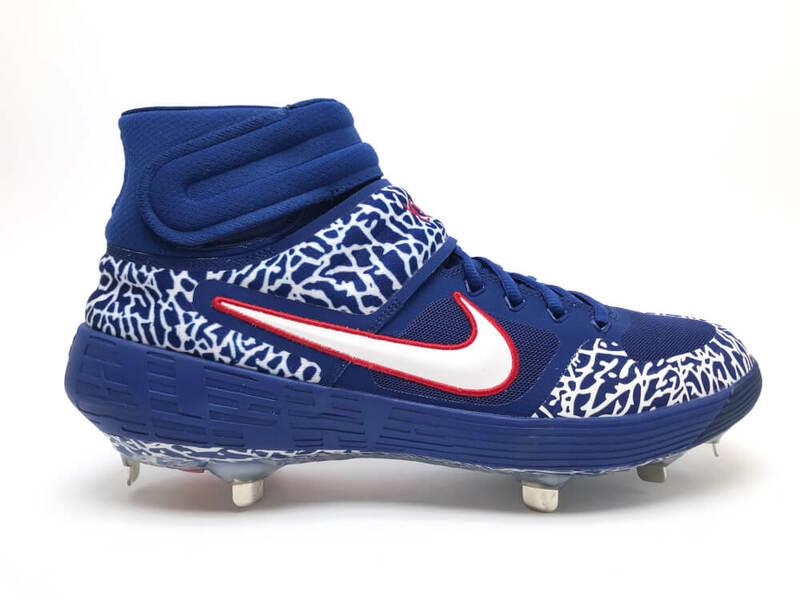 Flat-out STUNNERS, the early favorite for sexiest cleats of the 2018 playoffs, and I’m sure Matt Kemp has been eyeing these in the clubhouse. 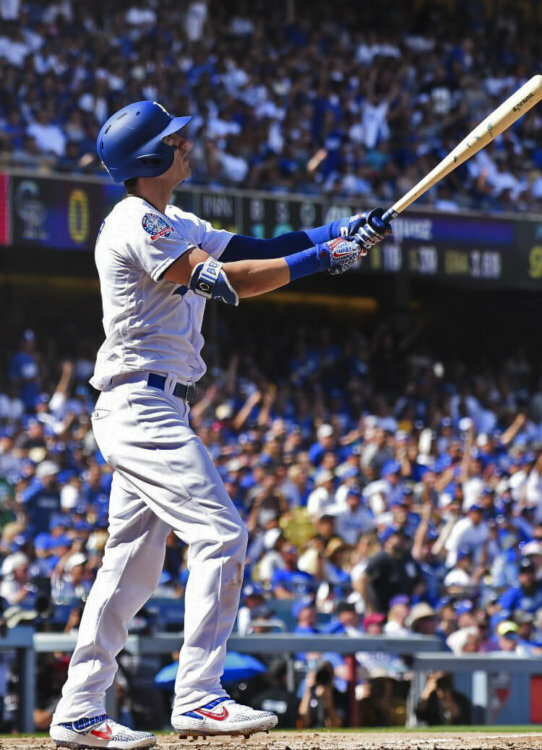 Cody Bellinger also took his Alpha Huarache Elite 2 cleats out for a spin in the tie-breaker versus the Rockies, and they most definitely turned some heads. 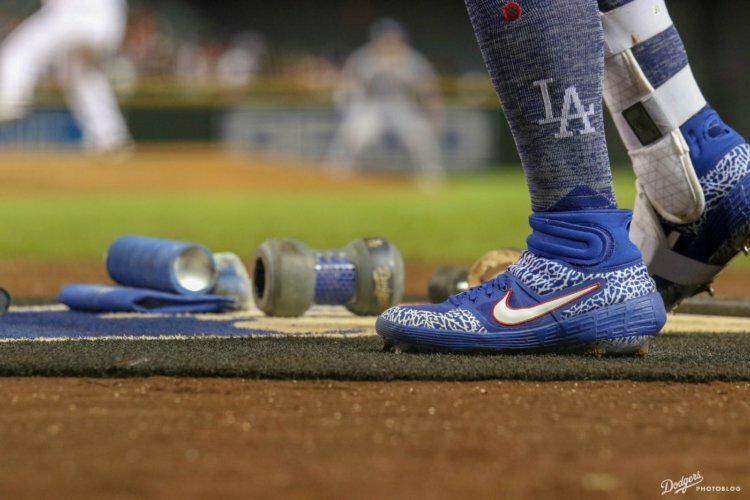 Looks like the @dodgers got a fresh shipment from @nikebaseball. Belly was pretty jacked up about ’em, along with the rest of the Dodgers clubhouse. 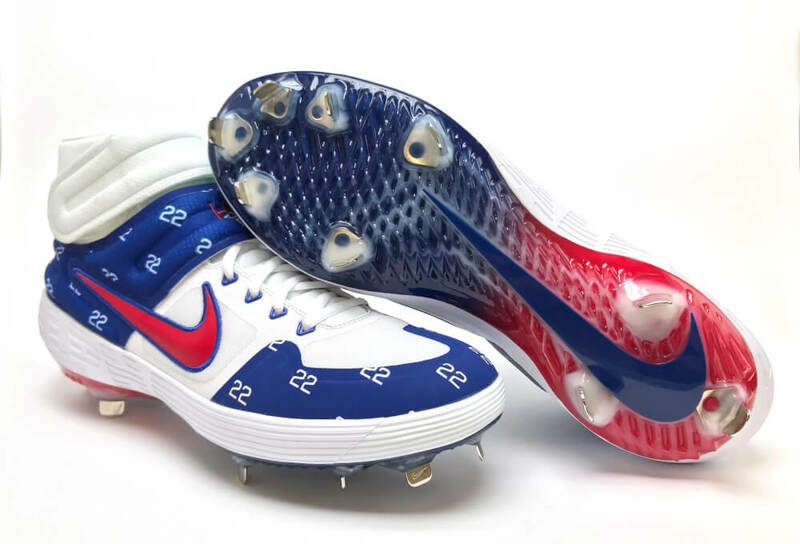 Jason Heyward’s #22 gives these PEs a special, more understated detail, though we still prefer Yung Joc’s louder elephant print. You can get the Alpha Huarache Elite 2 here. When will we be able to customize on Nike ID?